Writing test scores indicate that boys have fallen far behind girls across the grades. In general, boys don't enjoy writing as much as girls. What's wrong? How can we do a better of job of creating “boy-friendly” classrooms so their voices can be heard? Topic choice emerges as a crucial issue. The subjects many boys like to write about (war, weapons, outlandish fiction, zany or bathroom humor) often do not get a warm reception from teachers. 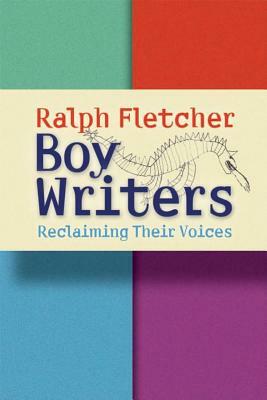 Ralph argues that we must “widen the circle” and give boys more choice if we want to engage them as writers. How? We must begin by recognizing boys and the world in which they live. Boy Writers explores important questions such as:What subjects are boy writers passionate about, and what motivates them as writers?Why do boys like to incorporate violence into their stories, and how much should be allowed? Why do we so often misread and misunderstand the humor boys include in their stories?